In a small attempt to rejoin Twitter, I recently stumbled upon the work of Michael Nÿkamp. These simple illustrations are part of a project he's been working on with Tyler Merkel, of Mid-Century Michigan. I would assume any mid-century enthusiast who appreciates the simplistic approach of modernism will adore these just as much as I do. As you may remember, I had the opportunity to visit the Eames Home for their Member Appreciation Day in June, so naturally the Eames House illustration is the clear winner in my book. 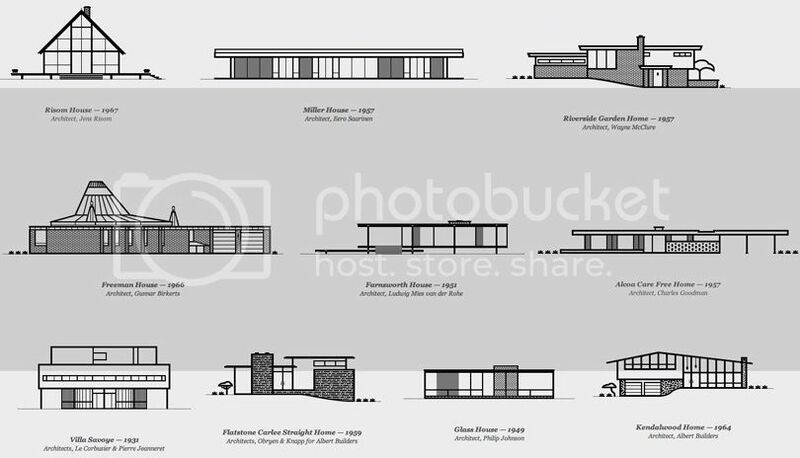 Michael Nÿkamp has also created illustrations of non-famous homes, including a few right here in West Michigan. To see all of them a bit larger, check out his designs here. And yes, I casually mentioned to Michael I wouldn't hate one of these of my own home. This would make a great piece of artwork to display somewhere - and you know I'm always looking for the perfect piece of art!